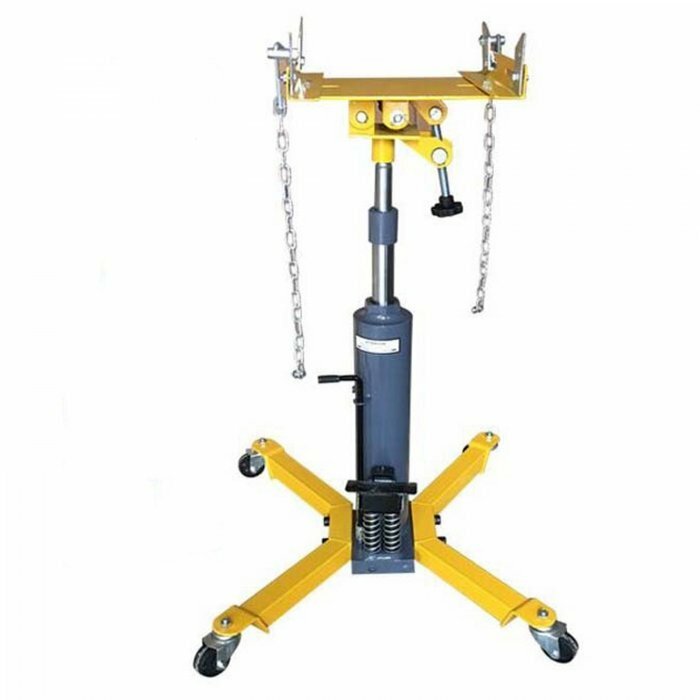 - This Vertical Lift Hydraulic Jack is used for removing, installing and transporting parts of the cars. - Its main use is for raising and lowering transmissions and gearboxes in both front and rear wheel drive vehicles. - Suitable for cars, and small light commercials trucks. - This jack can also be used for lowering and rasing petrol and fuel tanks, exhausts full and partial systems, rear axles, trans axles, sub frames, steering racks and suspension components. 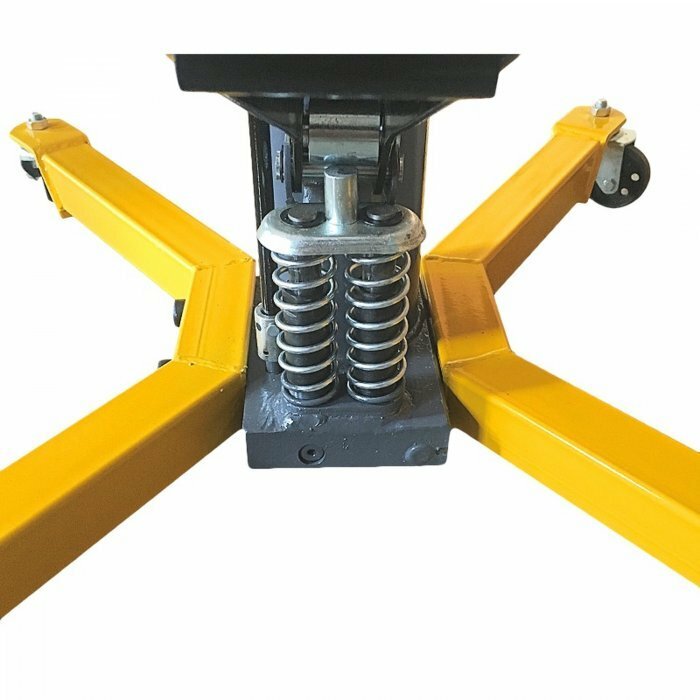 - This jack is really easy to manoeuvre to the exact position required. 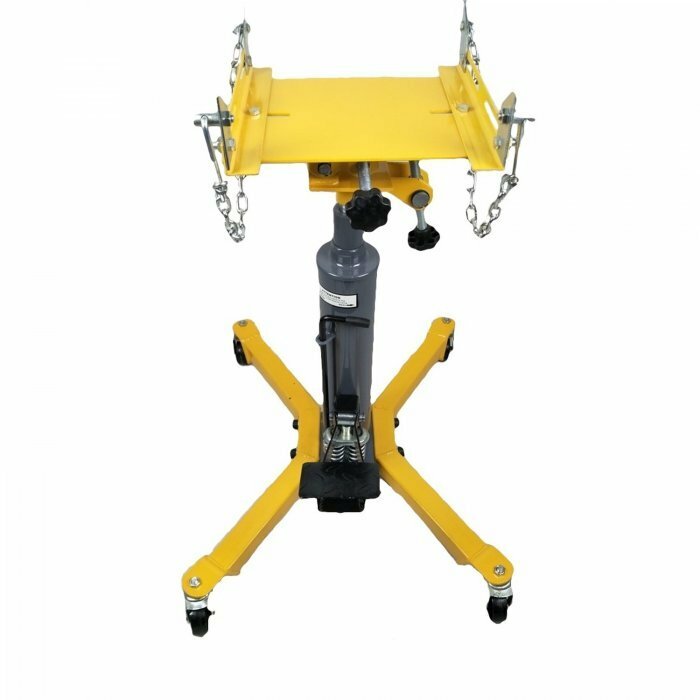 - Its wide base gives the jack a high degree of stability.